Nowadays, verbal agreements are not that strong anymore compared to how they were used to be. With this, you need to protect yourself and your interests when going into a transaction, especially when it concerns legal matters, monetary values, and property exchanges. How do you ensure that you are protected from these transactions? This is when the importance of using written contracts enter. It is essential that you protect yourself through a contract. 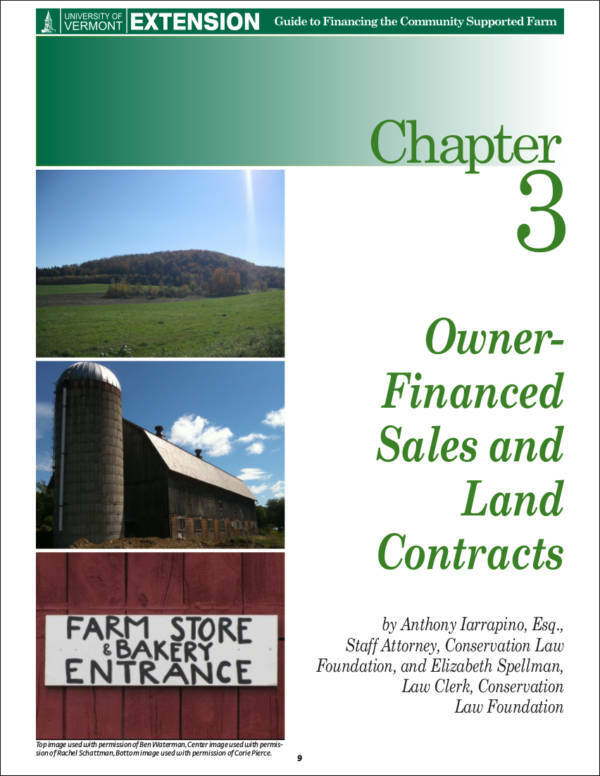 For example, if you are purchasing a piece of land from a particular seller, it is important for you to have a signed contract, which both parties have to sign. 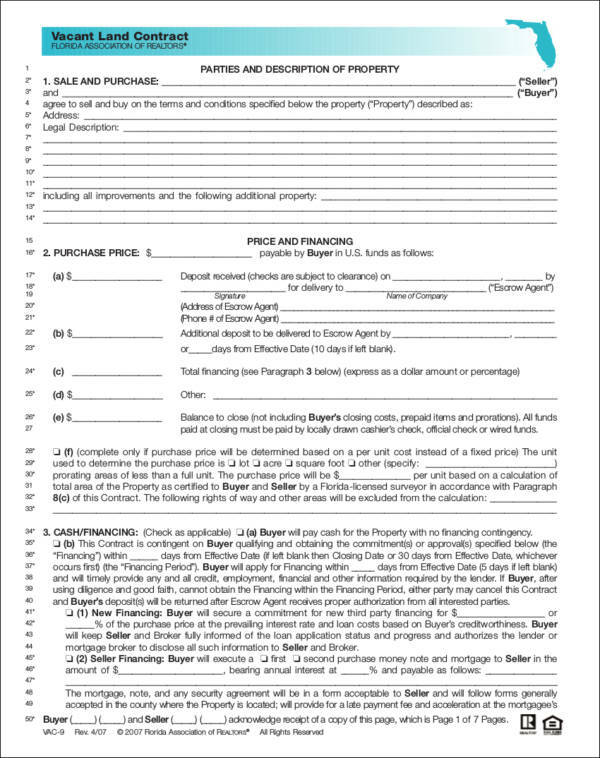 Should the buyer and the seller have a disagreement during the course of the transaction, both parties can refer to the terms written in the contract in order to resolve any issues or misunderstandings that they may have with the transaction. 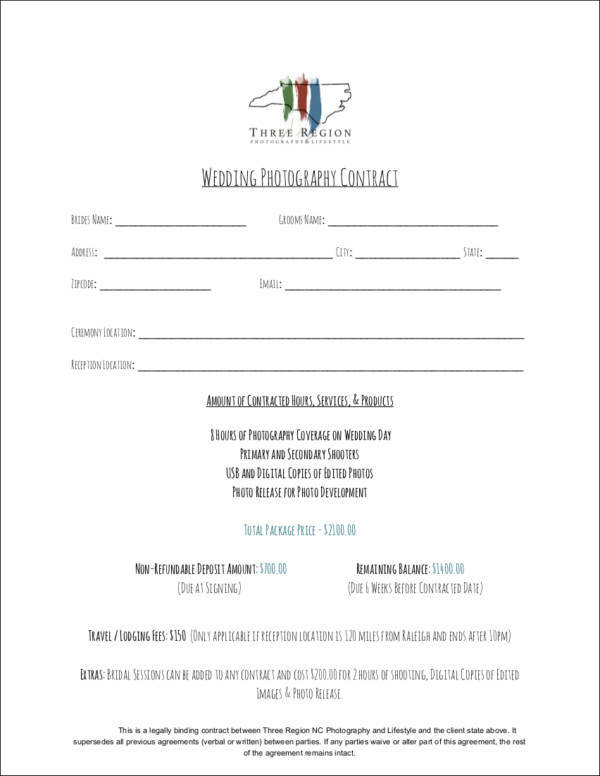 There are different types of contracts that may be used varying on the reason or transaction where there is a need for one. 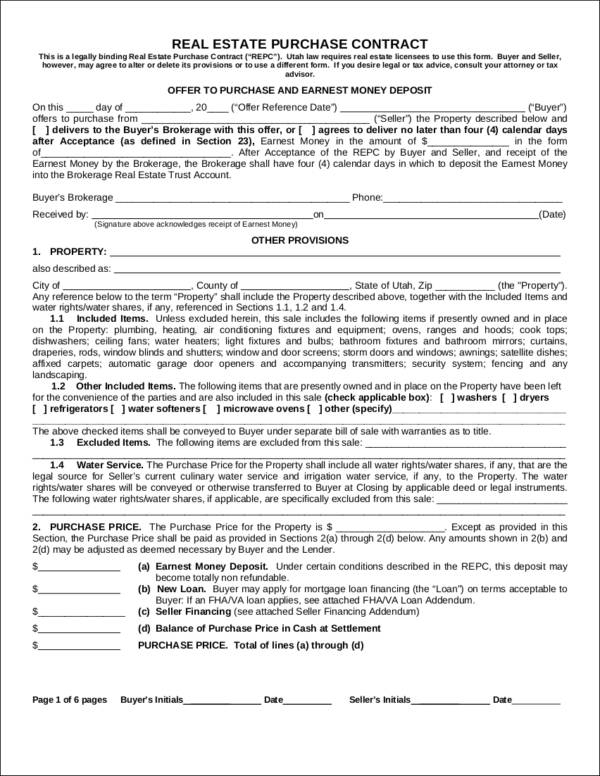 Contracts can come as simple as a tenancy agreement, up to its usage in big transactions like property sale contracts. 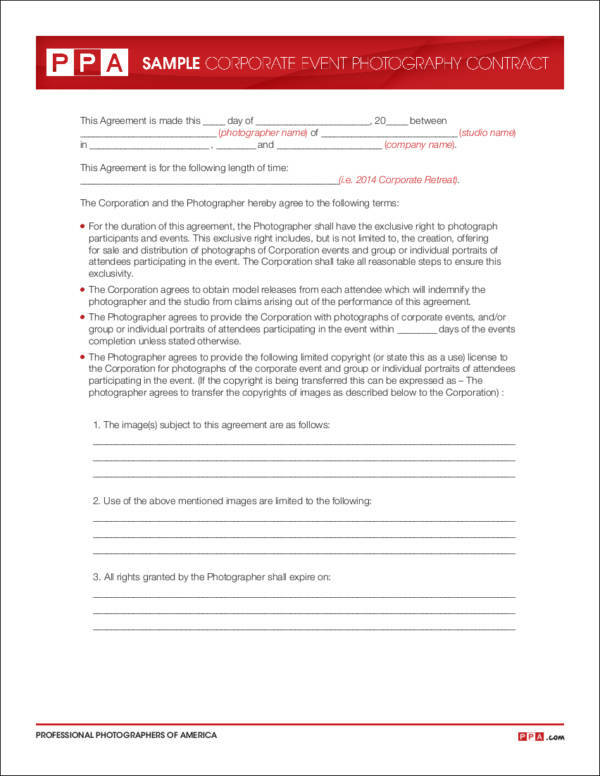 What is essential to remember in using a contract is the purpose and objective that are needed to be materialized within and after the document’s usage. In this article, we will discuss the definition of a contract, its importance, the types of contract that one can use, and the elements that need to be present in the contract. Plus! 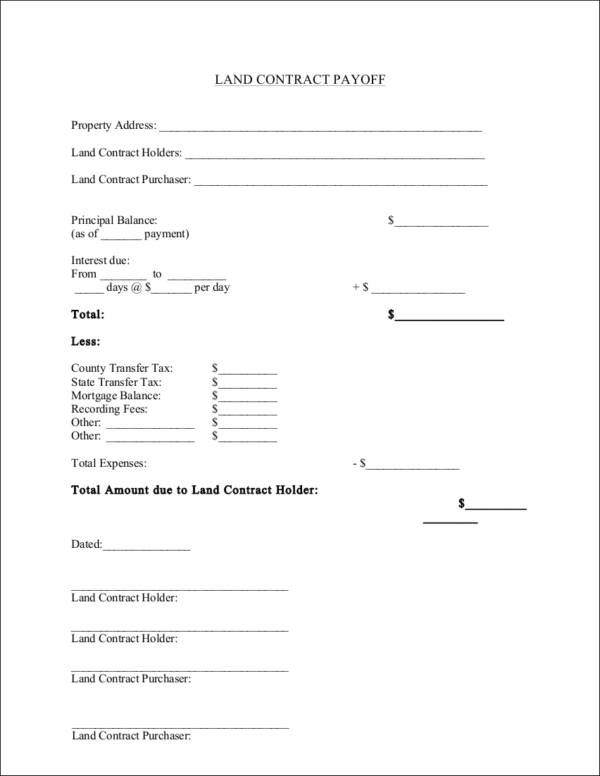 We also have various contract templates and samples like an employment contract, real estate property contract, vehicle sales contract, and more. 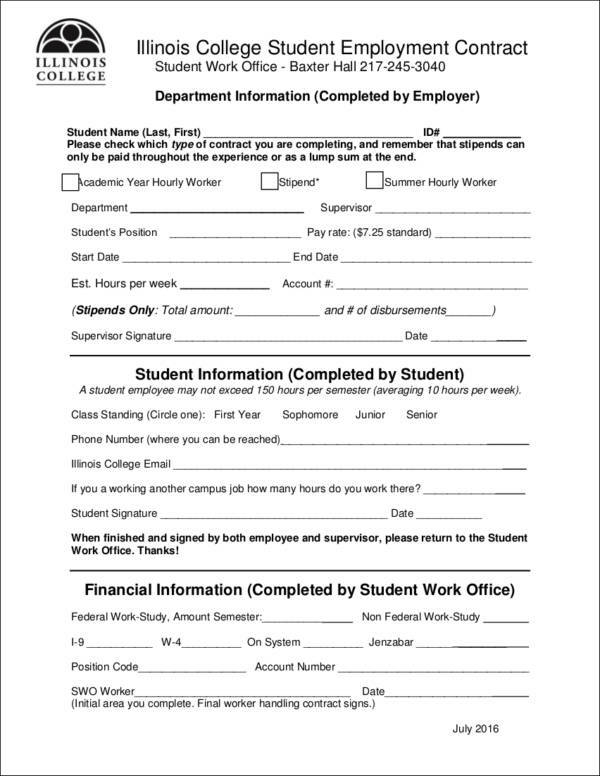 What Is the Definition of a Contract? 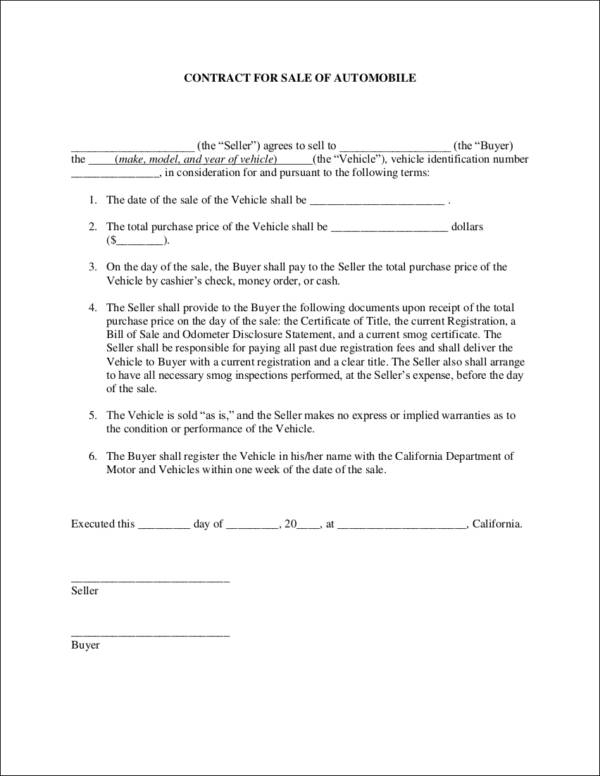 A contract is a document that is essential when two parties enter an agreement, especially when it involves something with monetary value or if it involves a business transaction. 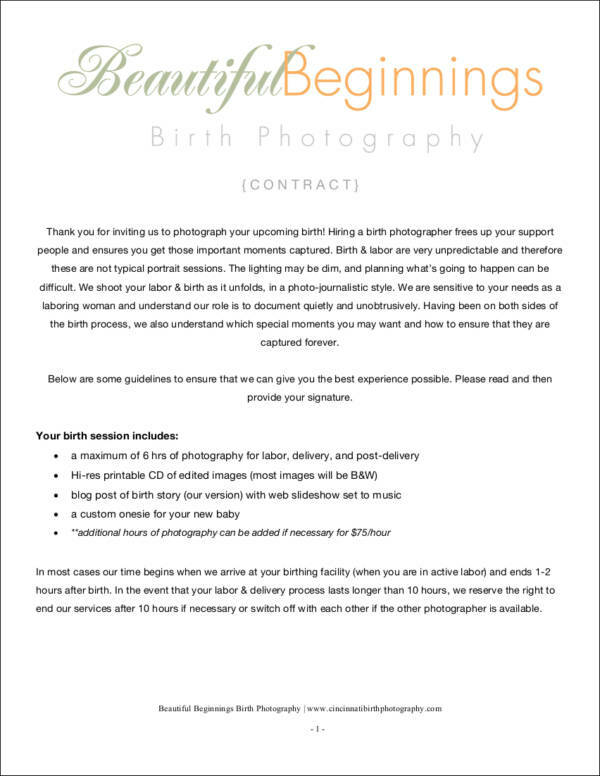 A contract is used to outline the rights as well as the responsibilities of the two parties based on the terms that have been agreed upon during the creation of the contract. 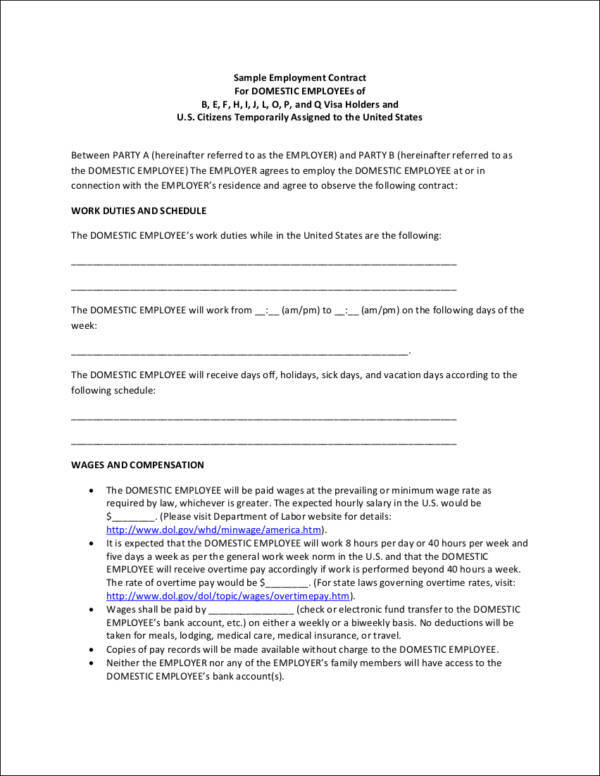 When the two parties have signed the contract, it indicates that both parties have agreed to all the information written in the document making it a legal document, which can have legal consequences should one party breach the terms and conditions indicated in the said contract. Although an agreement can be done verbally, a written contract is the most effective document one can have to ensure that they are protected. 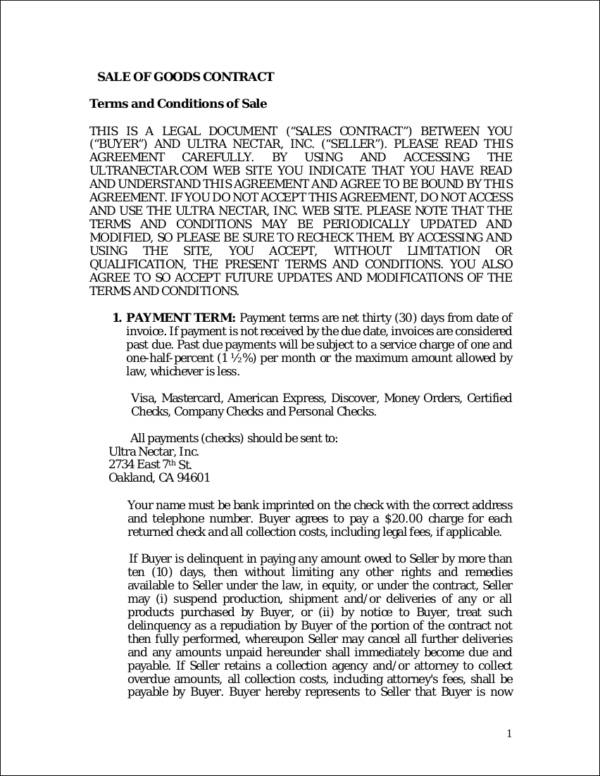 As previously mentioned, a contract is an important document needed to protect both parties when doing a transaction. To help you further understand the importance of a contract, here are the reasons why a contract is essential. 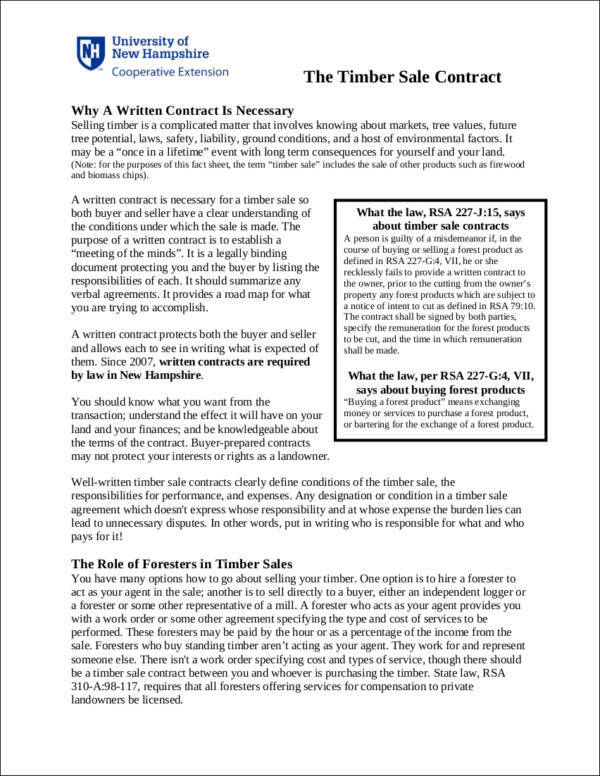 A written contract outlines the scope and limitations of the transaction that will help both parties resolve any misunderstanding later down the road. 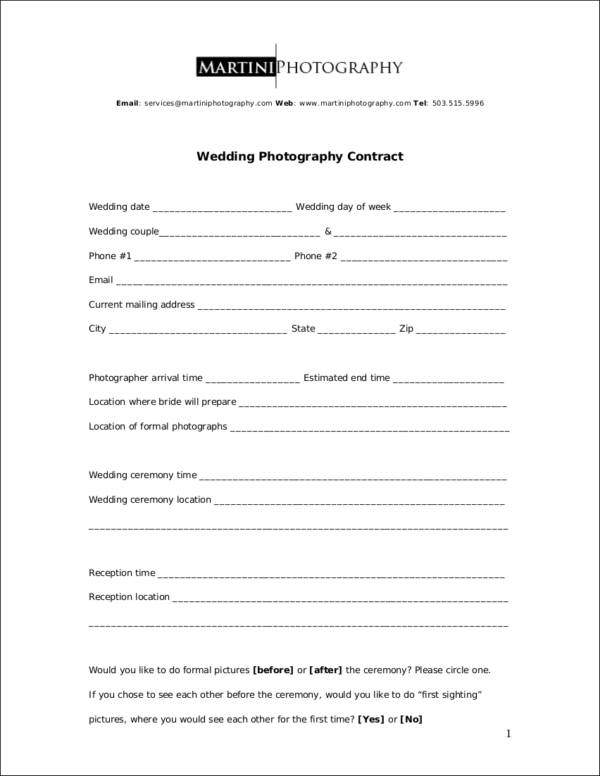 A contract is important since it is a legally binding document, which means that it is legally enforceable. Breaching a legally binding document can result in a legal action, which can have consequences for the breaching party. A contract is important to ensure that both parties are protected. 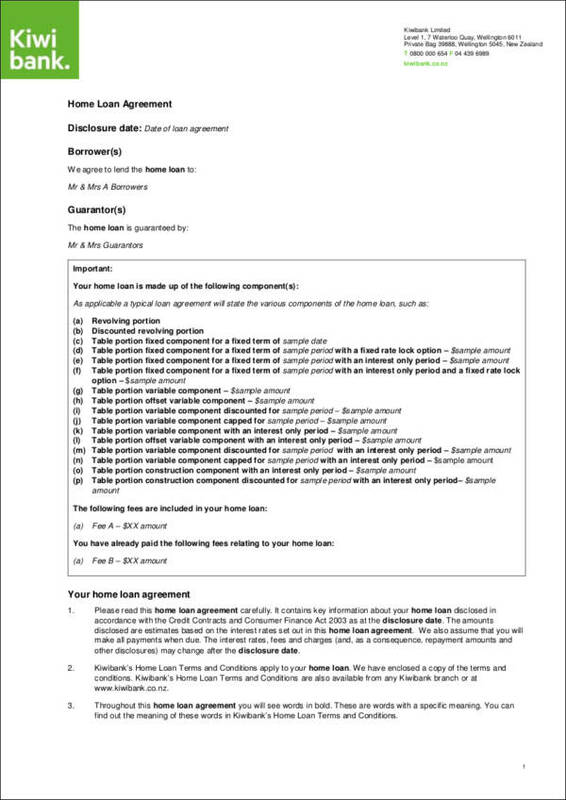 Since a contract clearly outlines the terms and conditions, one party cannot claim a misunderstanding later on in the transaction since both parties have completely agreed upon with the information written in the contract before the document is signed. 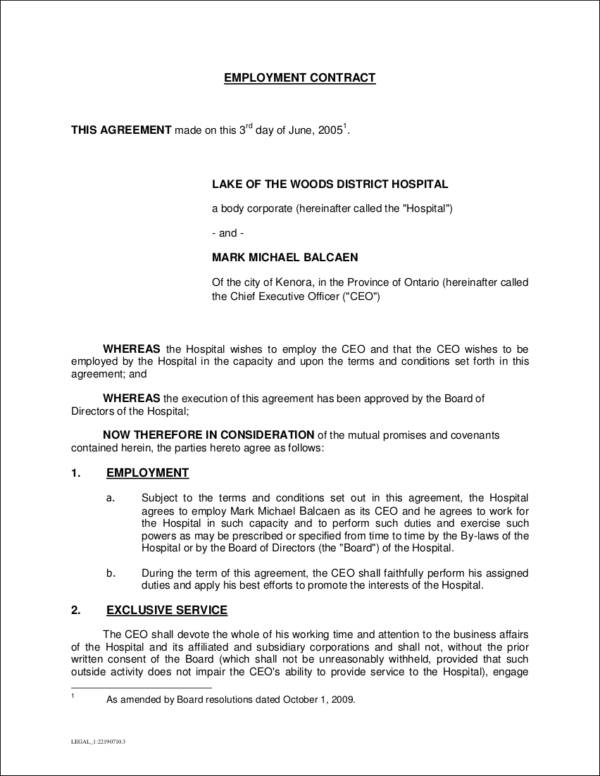 Another important aspect of a contract is the confidentiality agreement or the non-disclosure agreement. This means that any information exchanged or transacted by both parties should be kept within the two parties. If a party violates the confidentiality agreement, he/she will be held liable, as agreed in the contract. 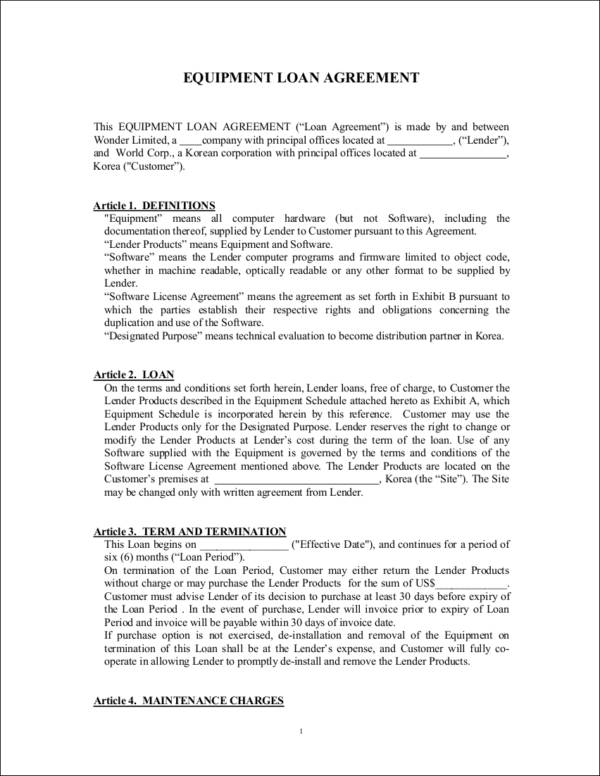 The contract is important since it contains a detailed account of the transaction. 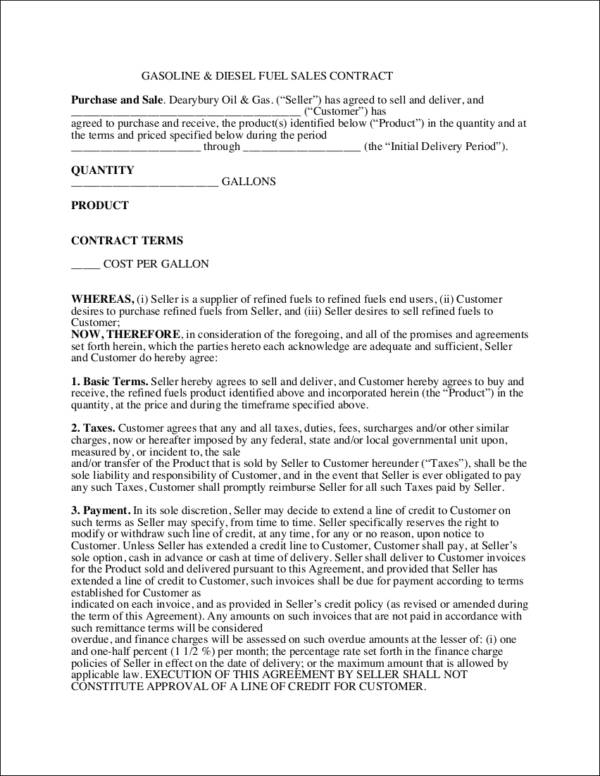 The contract specifically outlines the item being purchased, the amount, the names of the individuals involved in the transaction, and other relevant information regarding the transaction. Having a written contract is important in order to prevent taking the issue to a legal court proceeding, which can be very costly since the contract can be used as a reference to determine which party is at fault allowing both parties to settle. 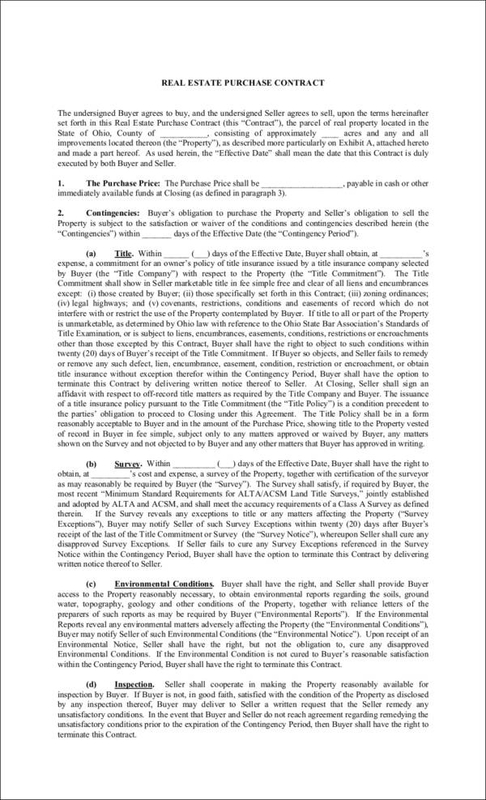 Whether you are signing a contract for the purchase of a property or a business transaction, there are certain elements that you need to consider and review before signing the document. It is important that you have thoroughly reviewed the contents of the contract that you are creating. To ensure that you have a well-made contract, here are some of the things that you need to look out for when reviewing the contract. 1. Negotiate and understand the terms written in the contract. Before a contract is formalized, it is necessary that you negotiate the terms written in the contract. It is important that you completely understand the scope and the purpose of the contract that is being created to ensure that no misunderstanding will happen to the transaction. 2. Clearly identify the parties involved in the transaction. Since a contract is an agreement between two parties, ensure that the names of both parties are clearly indicated in the contract. 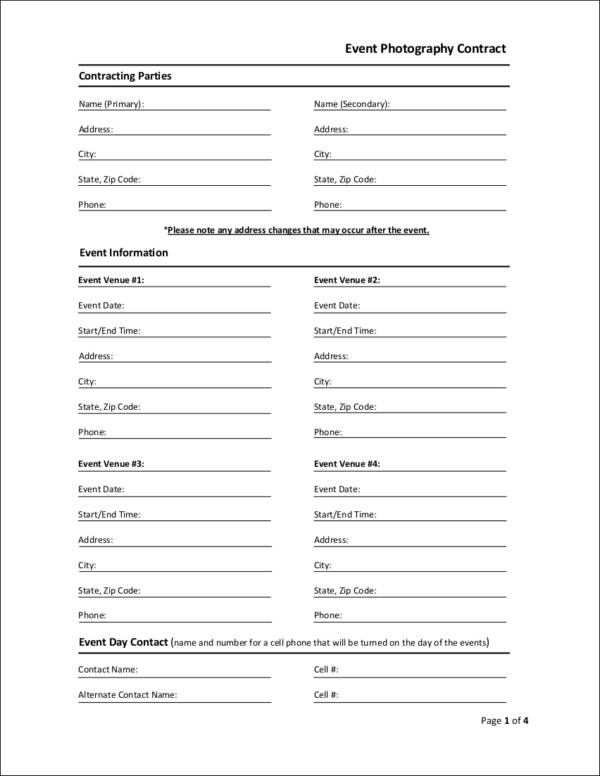 Aside from the names of the two parties, it is also important to include the addresses of both. It is essential in every contract being created to specify the rights and responsibilities of both parties. Clearly indicating the rights and responsibilities of both parties allow them to understand what is expected of them. 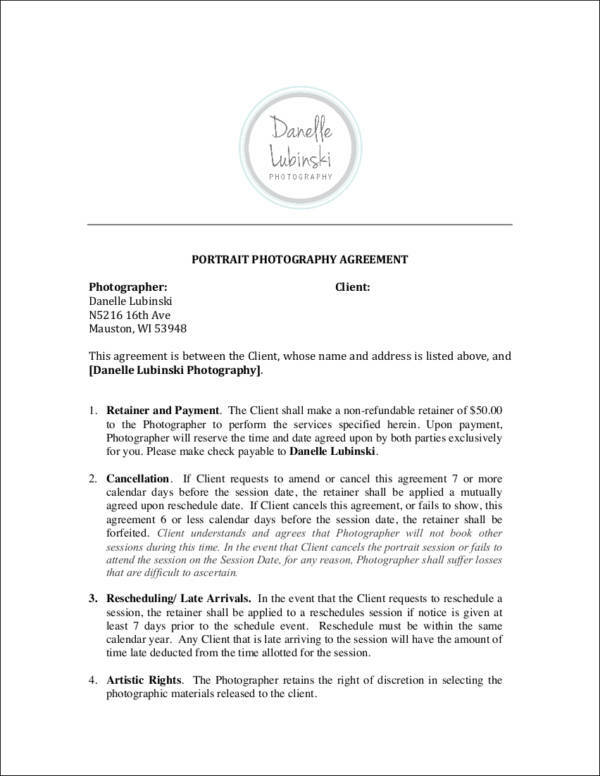 Be sure to read the entire contract since the rights and responsibilities are usually written throughout the document. If the transaction you are entering into involves personal or private information that should be kept within both parties, it is always important to have confidentiality arrangements beforehand to ensure that all the information shared between the two parties are not disclosed to other individuals. 5. Provisions to remedy any issues. 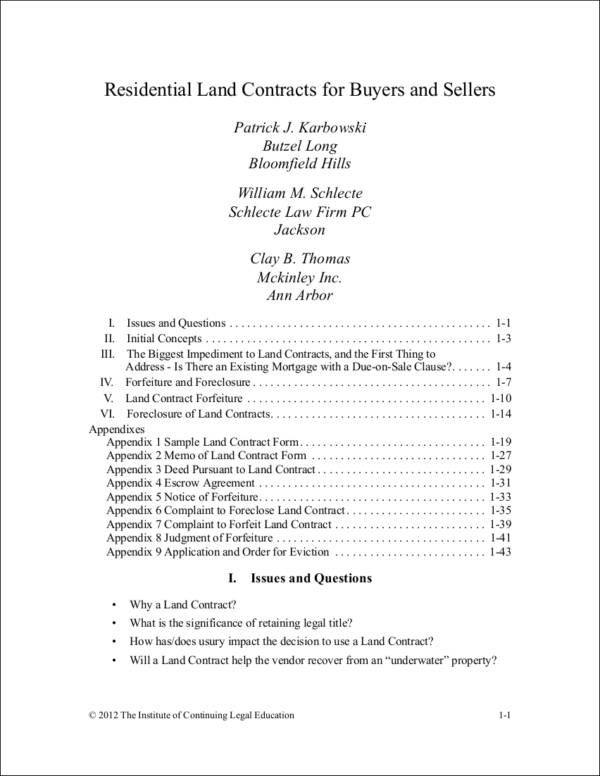 Although no one wishes for any problems to arise during the transaction or agreement, it is best to consider including remedy provisions in the contract that you will be creating. It is important to have various remedies that you can refer to should problems happen. 6. Review the termination clauses. When creating your contract, it is also important to review whether you have termination clauses, specifically ways on how you can terminate the contract if the transaction is not working based on what was agreed upon. 7. 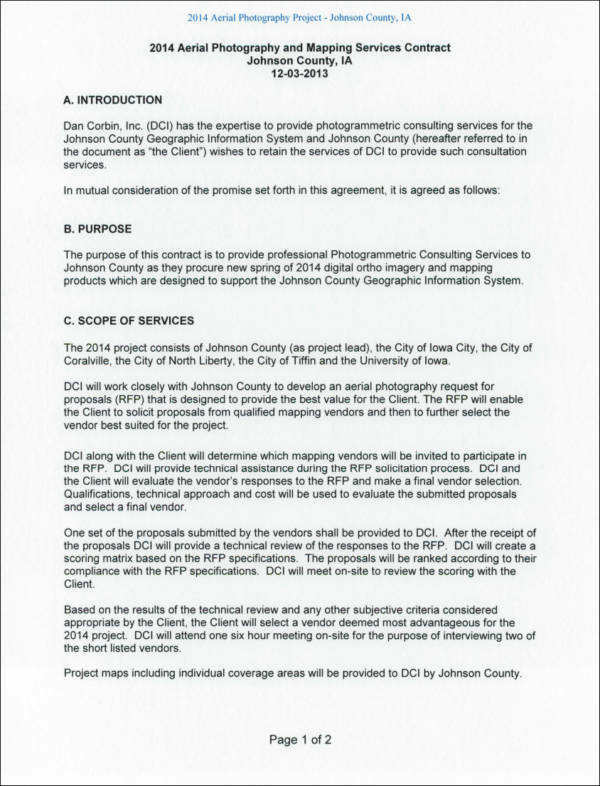 Documents incorporated in the contract. 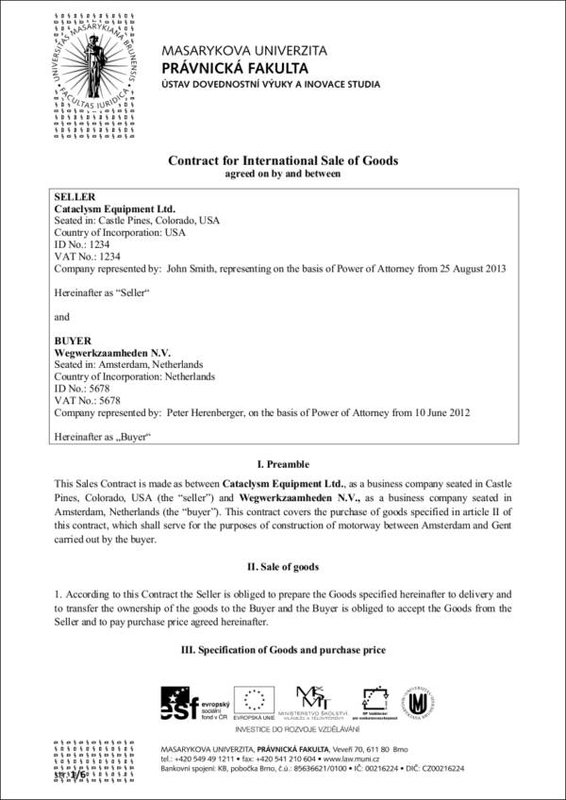 If another document is included in the contract, it is important that you thoroughly review its contents. It is essential that you understand the contents as well as the relevance of that document in the contract being created. 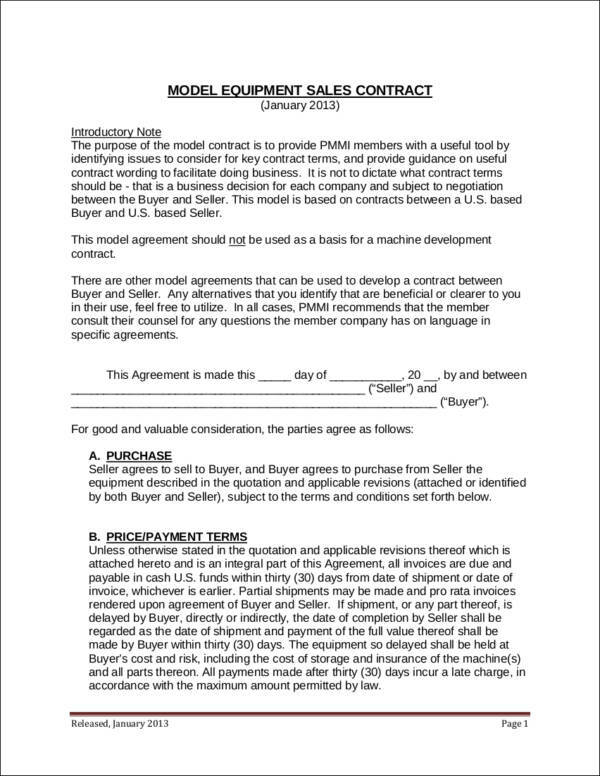 What Are Some Examples of Contracts? 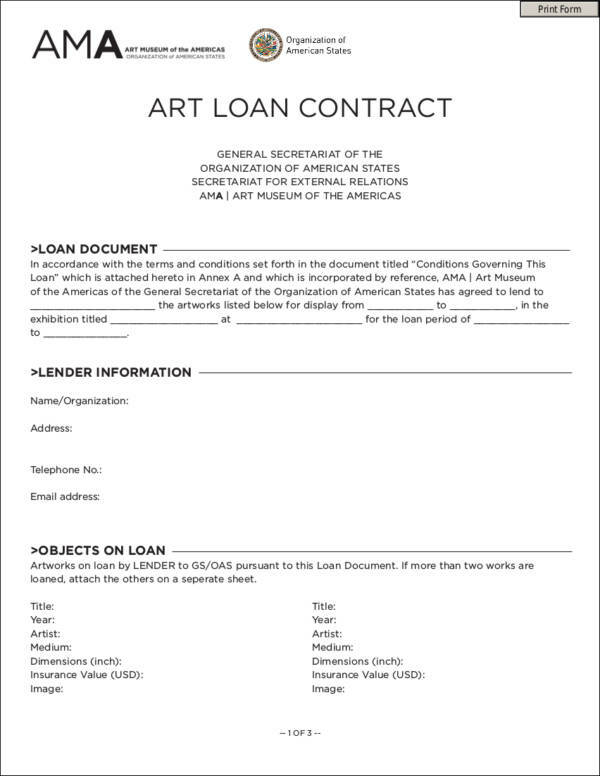 A contract’s contents can vary depending on how they are used. There are many different kinds of contracts that are used depending on the type of transaction being made by the two parties. 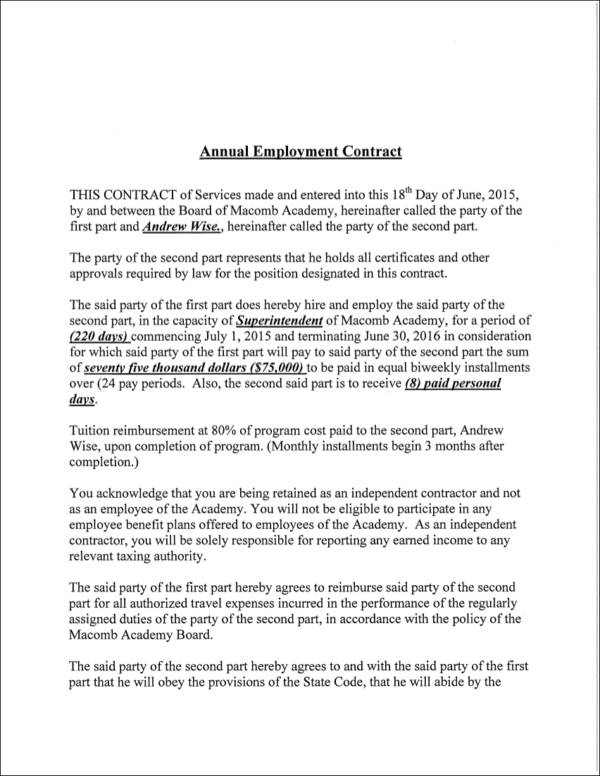 Here are some examples of commonly used contracts. 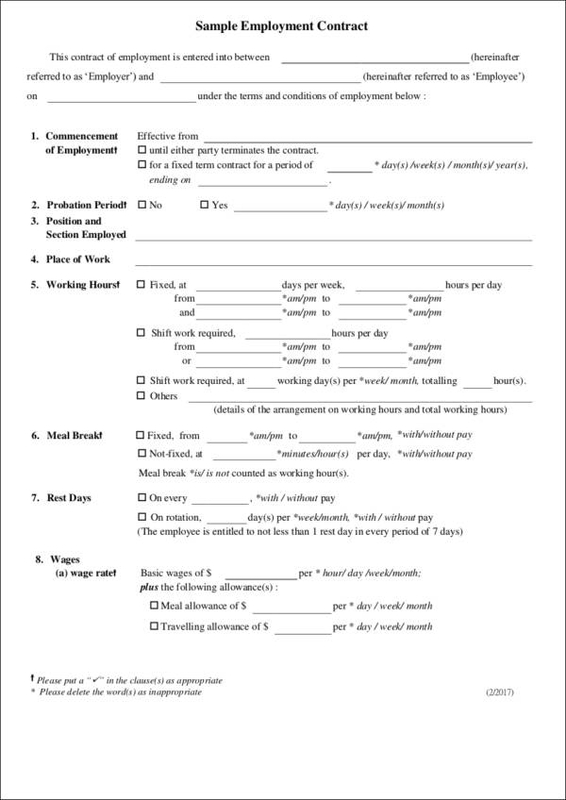 An employment contract is a type of contract that is made during the hiring or employment process. 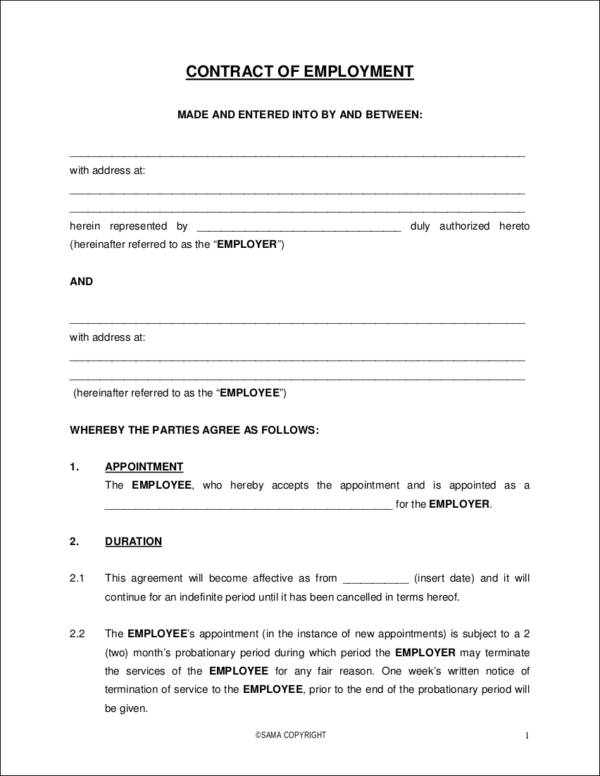 For example, if an individual applies to a particular company, he/she is provided an employment contract to be signed to indicate that he/she has agreed upon to the terms and conditions set by the company regarding his/her employment. 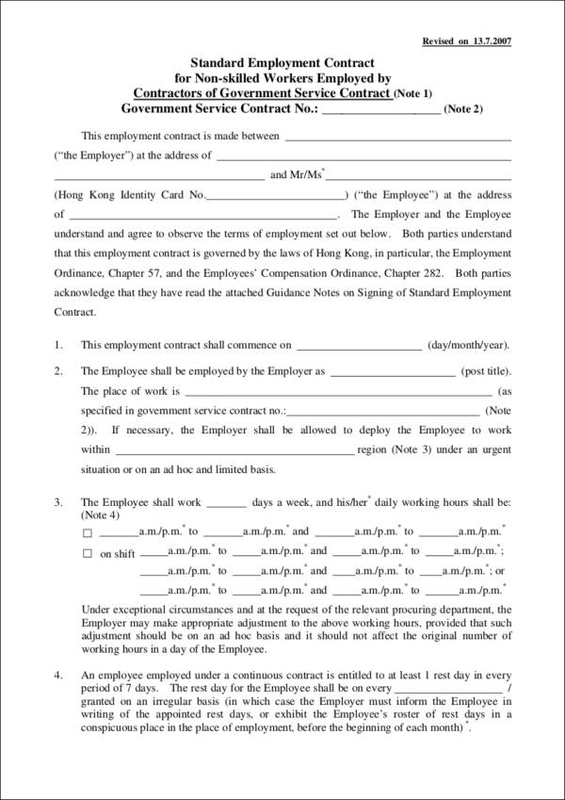 An employment contract is essential especially if the employer and the employee encounters a disagreement. There are many reasons why individuals apply for a loan, whether it is for the purchase of a property, a vehicle, or if it is to fund a particular business. 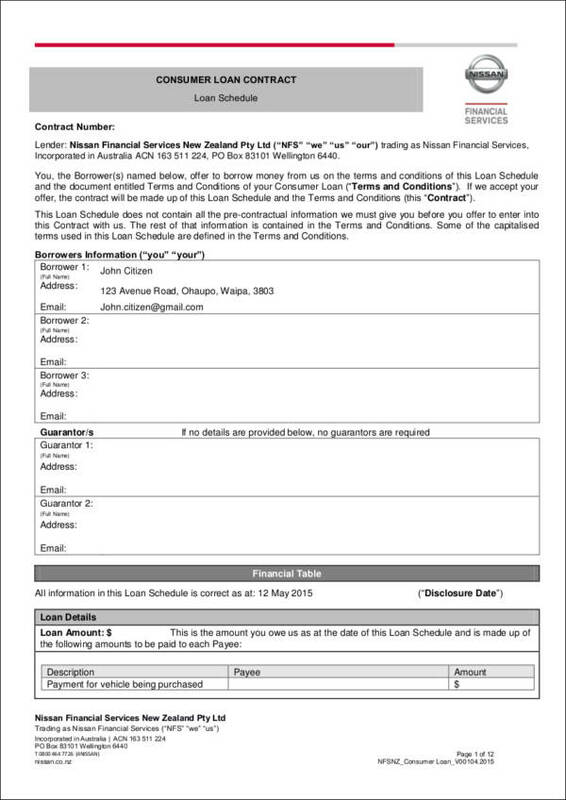 Basically, a loan is a process of requesting a particular amount of money from a lending company for a specific reason, as mentioned above. 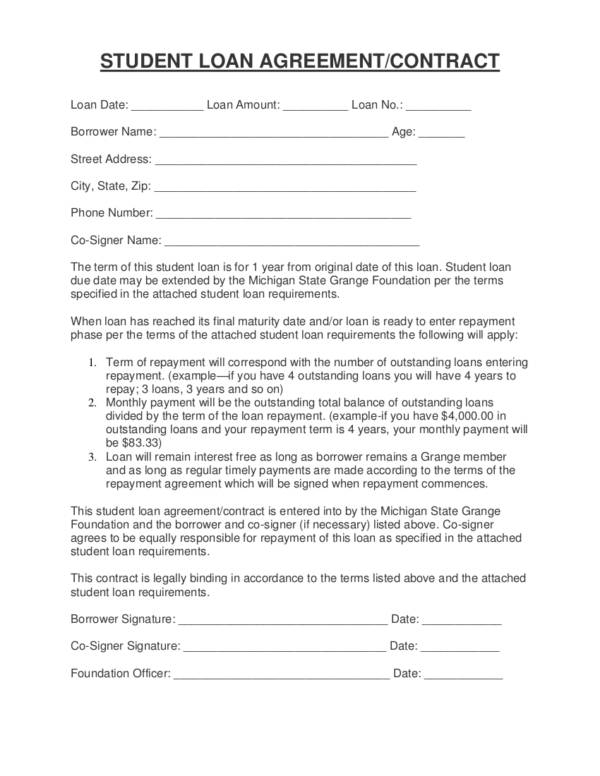 Before a loan can be finalized, the lender will provide a loan contract to the borrower. 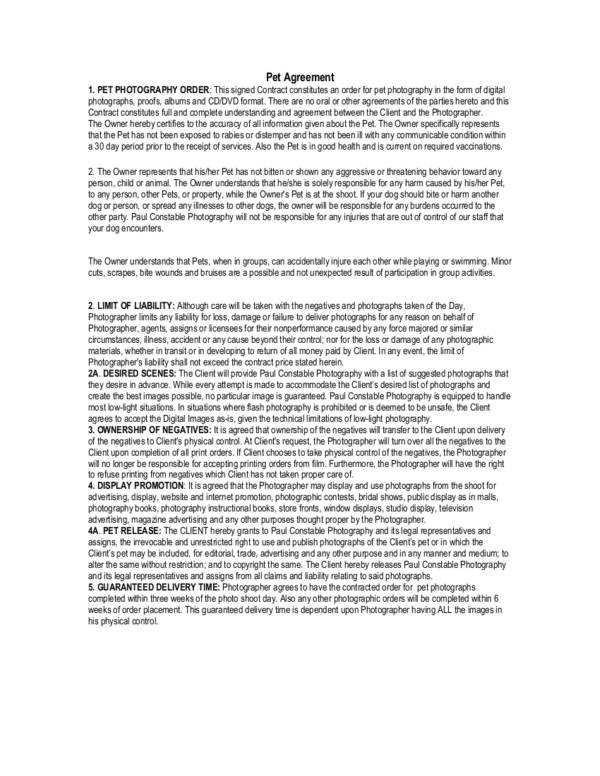 Photography contracts are important for individuals who have a photography business or if they do freelance photography. 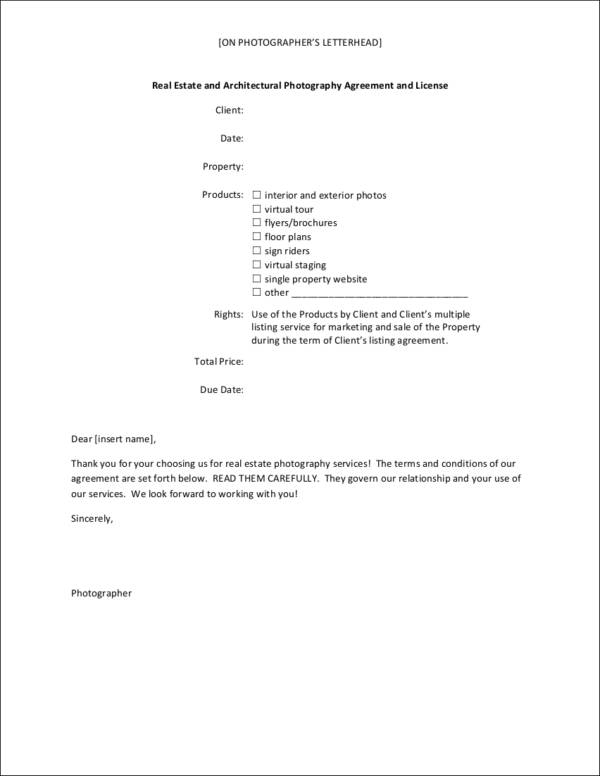 Before entering a deal or an agreement with a client, a photography contract is important since it outlines all the essential details of the transaction, ensuring that both the photographer and the client would understand what to expect from it. A maintenance contract is a document used by a company that provides maintenance services to their clients. A maintenance contract indicates that the company will cater to the repairs and maintenance of something under certain conditions and for a specific period of time. A maintenance contract outlines all the information regarding the transaction and all the other essential elements found in any legal contract. 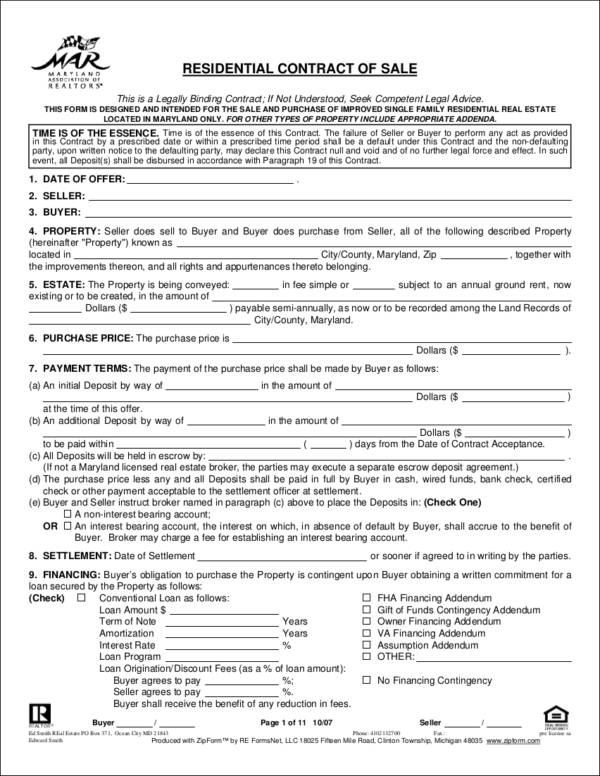 A real estate contract is a document that is used if a particular transaction involves the purchase or sale of a land or a real estate property. 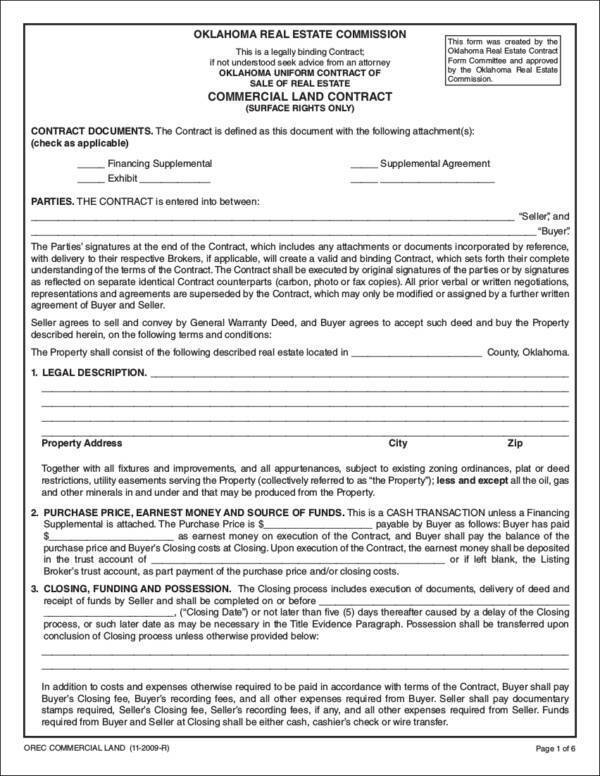 An effective real estate contract must outline the details of the transaction such as a description of the property, its address, the names of both parties, and other essential information. In order for a business to operate on a daily basis, they will need to have a good supplier or vendor to supply them with the goods, products, and services needed by the business. Typically, a company selects the best vendor that can supply them with the needs of the business. In order to protect the interest of both parties, a vendor contract is signed to ensure that both parties clearly understand the purpose of the contract, as well as the consequences that will happen should one party breach the agreement.